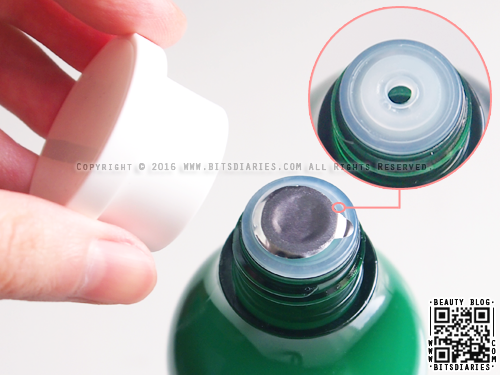 It comes in a plastic bottle with a twist-off cap, and the opening is sealed with a foil. After cleansing and toner, take an appropriate amount (pea-sized) of moisturizer on your palm and rub your palms together. Gently smooth your palms over your skin starting with your cheeks, as they are usually the driest part of your face, then onto your forehead, nose and chin. For your information, I have been using this moisturizer along with the rest of the AC Clean Up products for over a month now. And like I said in my previous post, I super duper mega love them! HOLY GRAIL ALERT! The moisturizer has a light, watery gel-like texture that goes on smoothly and soothes the skin, leaving skin feeling refreshed and rejuvenated. It may feel sticky after application, but once it's absorbed into the skin, the sticky feeling would go away. Despite the alcohol content, it didn't dry up or irritate my sensitive, acne-prone skin. I find it does an excellent job in soothing and keeping my skin hydrated without being heavy and greasy. Perfect for hot summer months. But during the cold winter months, you may need to use it along with a cream for an extra boost of moisture. 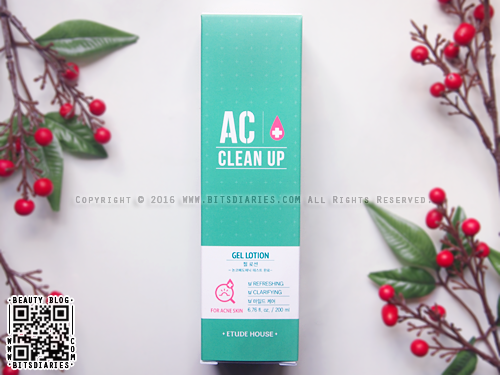 It doesn't seem to clog my pores, as I noticed I break out considerably less while using this along with the rest of the AC Clean Up products. Nowadays I only get breakouts during the time of the month, but that's hormonal issues. Therefore, I would say it does help to treat and prevent acne. Overall, it does what it promises. It's definitely still my top favorite moisturizer for oily, acne-prone skin. I highly recommend it to all. Remember, always keep acne-prone skin hydrated because dry and flaky skin causes pores to clog up resulting in even more outbreaks. Do you use this gel lotion for day&night or only night time? I am constantly looking for products for my face. I believe I spend more time in researching and comparing than buying. But i have a query, Is this gel lotion helps to reduce skin aging issues like dark spot,wrinkles,age spot,fine line ect. ?